Tea Tree Oil is one of the most versatile and commonly used essential oils. I've heard my mom and grandma talk about it for years, but never tried it for myself until now. Unlike many diluted versions. 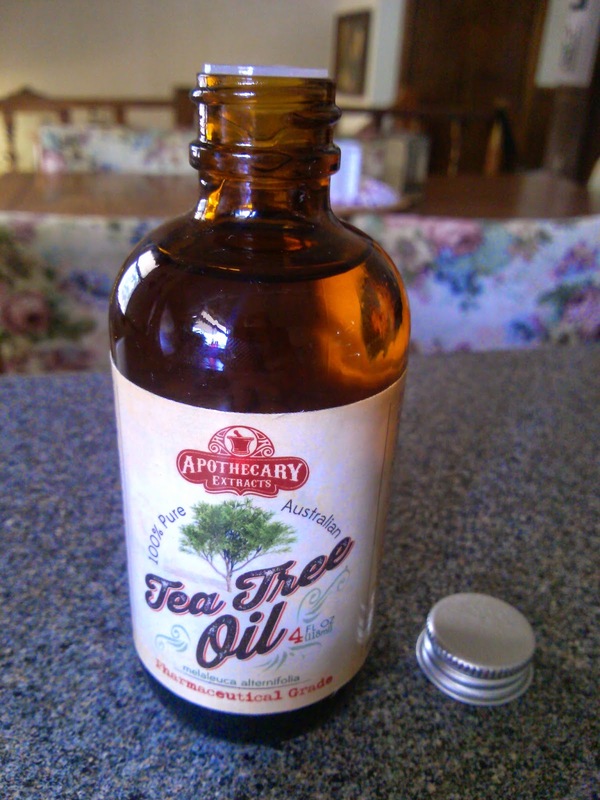 Apothecary Extracts Australian Tea Tree Oil is 100% pure, undiluted, and potent. It comes in a large (way larger than any other essential oils I've used!) 4 oz bottle. The dark brown glass bottle and label are so vintage-esque - I love the way it looks! But better than that, I can tell the potency of this oil by its strong scent. It's not a bad scent - it's actually quite pleasant - but definitely potent, which is why a little goes a long way with this and other essential oils. I can't believe all the uses I'm finding for Tea Tree Oil. Historically it was used as an antiseptic for skin disorders, including acne and dandruff. But it can also be used for cuts, burns, bites, cold sores, ringworm, fleas, warts, psoriasis, athlete's foot, toenail fungus, lice, yeast infections, and more. On top of that, it can also be used in natural DIY face and body scrubs, soaps, lotions, shampoo, conditioner, deodorant, and toothpaste. Plus, it also can be used in household cleaners and detergents. There were so many recipes in the free ebook that came with this product, as well as on Pinterest, that I figured I would start with something simple. 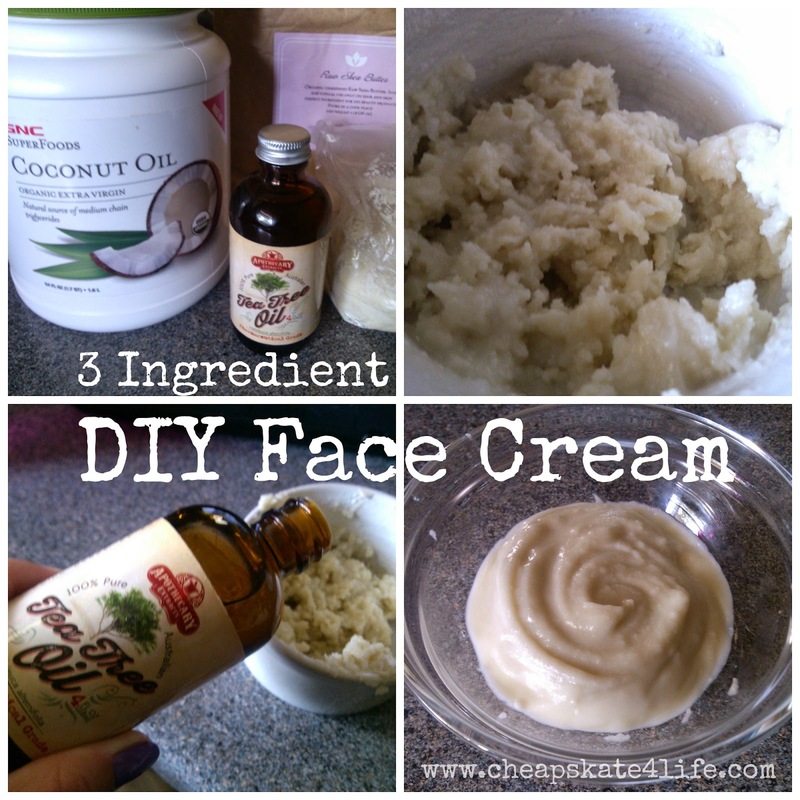 I found a DIY face cream recipe on Pinterest (original recipe here) that I just had to try. I'm currently using it as a neck and décolleté cream. Previously I had been using plain coconut oil on the area after getting the idea from my mom (she uses it daily and has super youthful skin), but this recipe made it even better! Not only does it leave the skin super soft and nourished, but with the antiseptic properties of the Tea Tree Oil, it also helps to prevent breakouts and heals skin conditions as well. I love this stuff! It's so easy and a little goes a long way. One batch will last me at least a couple weeks. I also plan to make a Citrus Foot Scrub and Natural Deodorant from the recipe ebook soon. Whether you're looking to go more natural in your beauty and cleaning routine or just want to keep a versatile antiseptic in your bathroom cabinet, Tea Tree Oil is the way to go. I really like the Apothecary Extracts brand and recommend it. 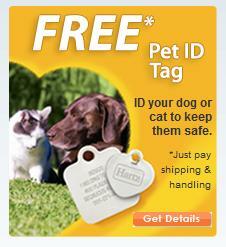 Plus it's affordable too, at just $19.99 for a 4 oz bottle.